Inverter Rooftop Packages are Here! We’ve been talking about it since ARBS - the technologically advanced Temperzone OPA 296 Invertor Rooftop Package Unit is now in stock and available for immediate deivery. According to Temperzone Product Manager Gordon Stewart, “This unit is a major first for the Australian and New Zealand marketplace. 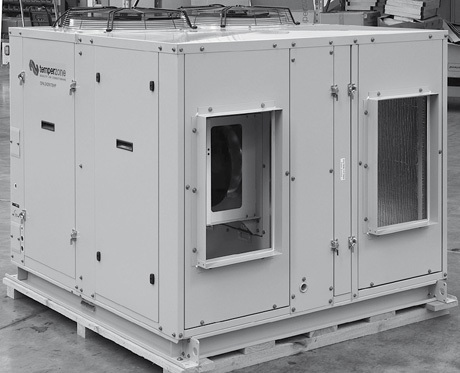 Built from the ground up, this unit is designed to handle a wide range of ambient conditions as well as deal with a variety of requirements inside the building. Hitachi Chillers – In Stock and Ready for Delivery, Even to Perth! The Southbank Medical Centre, a three level purpose-built building, situated on the banks of the South Perth foreshore needed to replace their old Trane chillers, stat! The chillers, which had seen better days, wouldn’t make it through another typical hot Perth summer. Hitachi Air Cooled Chiller Stock Levels Increased! Our first batch of Hitachi air cooled chillers arrived in July and were all sold before they even landed in Sydney! Our second batch of Hitachi air cooled chillers arrived in August and half were already sold.